In our commitment to help bring out a better and a more radiant version of you, we reviewed 5 of the most in-demand serums in the skincare industry today and chose what we think is the best serum for dry skin. We selected the products based on ingredients, texture, ability to be absorbed by the skin and friendliness on the budget. Olay’s Regenerist Regenerating Serum is a product that yields fast results. With its Amino-Peptide Complex, see visible results on the first day and total improvement after only 4 weeks. 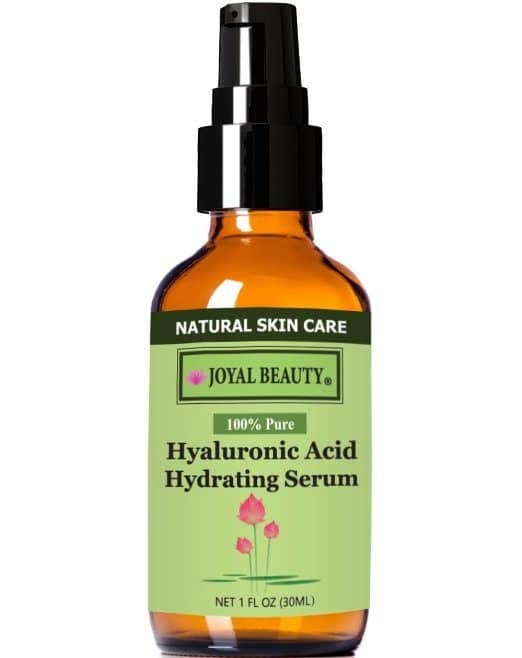 For a product with a high concentration of HA, what you need is the Hyaluronic Acid Hydrating Serum by Joyal Beauty. It intensively moisturizes, and also doubles as an anti-aging serum. The Youth Code Serum Intense by L’Oreal leaves skin smoother, looking rested and youthfully luminous. It boosts the skin’s natural regenerating powers to regain the qualities of young skin. On the more natural side, Burt’s Bees’ Renewal Intensive Firming Serum is a 98.9% natural product. It works by plumping up the cells as well as fighting and reducing the signs of aging. This product’s Amino-Peptide Complex makes this the best serum for dry skin. Packed with moisturizing ingredients, it penetrates deep into the skin and promises visible results in 4 weeks. These peptides are so small, which allows them to regenerate surface cells as they penetrate the upper layer of the skin. They then go up to 10 layers deep to replenish any lost nutrients. Its fast-penetrating formula regenerates surface cells and restores the skin’s elasticity. This lightweight and silky serum plumps up the cells for a well-hydrated and younger-looking skin. This hydrating serum comes in a gel form which we think makes it easier to be applied to the skin. It is also non-greasy, which makes it a perfect addition to your skincare routine. This product promises visibly smoother skin after the first use. After only 4 weeks, a reduced amount of wrinkles and fine lines can be noticed and firmer skin will surely be revealed. What makes this serum effective for dry skin is its high content of Hyaluronic Acid. HA hydrates the skin by forming a protective barrier that locks in moisture, leaving it softer and more supple. As compared to the others who only have 1%, this product boasts of its 4% concentration of HA. It also contains 50kDa HA and this low molecular weight is effective in minimizing wrinkles. This product can benefit tissue repair and protection. Because it offers protection from the sun’s harmful UVB rays, this serum can also be used for the prevention of sunspots. This product is oil-free, non-greasy and light. It is easily absorbed by the skin, so those who hate the feeling of having oil on their face will absolutely love this. This product claims to be the “key to the fountain of youth.” It has the ability to penetrate deep into the dermis, and it promises to offer visible results from the first day itself. Its Sodium Hyaluronate content is what makes this product great for dry skin. The salt of HA, this ingredient is often used in plastic surgery as a filler and to reduce wrinkles. A lightweight serum, this product goes deep into the skin to fight hyperpigmentation, dullness, and deep wrinkles. It helps in the full absorption of facial creams to achieve their maximum effects. This serum works by boosting the skin’s natural regenerating powers. It brings back this quality of young skin, as our skin has the unique ability to naturally heal itself. This product is a must-have in your skincare routine. It promises visible results from the first use, like diminishing the signs of aging, including signs of fatigue as well as signs of stress. A small amount also goes a long way. A few pumps of this product is enough to cover your entire face, including your neck and décolletage. This product’s Sodium Hyaluronate content makes this a great serum for dry skin. The said ingredient binds water to the skin, providing it with short- and long-term moisturization. Oil-free and lightweight, this product moisturizes without leaving a sticky feel. It also helps with tightness and itching for that refreshed, smooth, and hydrated appearance. This serum reduces the appearance of wrinkles and fine lines, thanks to its Palmitoyl Tripeptide-5 content. Its Sea Kelp and Honey extracts, on the other hand, conditions and hydrates the skin. This is the best serum for dry skin because t it can be absorbed pretty quickly. It contains a blend of fruit extracts (Lentil Fruit, Apple, and Watermelon) to ensure skin is uniformly hydrated. The Hibiscus and Apple Rejuvenating Complex this product uses make it effective for dry skin. White Hibiscus is known to smooth out wrinkles while Apple intensively hydrates skin. To attest to this, 90% of women have reported a reduction of wrinkles in 4 weeks. After 8 weeks, 94% of women have reported a reduction of wrinkles and firmer skin. Its consistency is quite milky and is slightly white in color—which turns invisible once absorbed by the skin. It can be used day and night (after cleansing, of course) for maximum results. This best serum for dry skin is a 98.9% natural anti-wrinkle product. This product makes use of the power of nature to reveal younger-looking skin and a better version of you. They leave out airtight, or occlusive, moisturizing ingredients like mineral oil or petrolatum to stop water from evaporating. Most of them are also water-based, eliminating oils altogether. They also contain the highest amount of anti-aging ingredients that you can find in nonprescription products. These include skin brighteners, peptides, and antioxidants. First is their size. Serums have molecules smaller than that of moisturizers, allowing them to penetrate deeper into the skin and, thus, provide more significant results. Another difference is their effectiveness. Moisturizers work by hydrating and moisturizing, while serums contain a high dose of active ingredients needed to treat a number of skin conditions. While we have established that serums are generally better than moisturizers, there are still some precautions when using the product. The first is not to overuse them. ​Excessive use can lead to itching, rashes, and skin irritation. And because they penetrate too quickly due to their texture, they might not be a good idea for rosacea or eczema sufferers. ​It is also not advisable to use two serums at a time. Not only are they time-consuming and expensive, you can also get clogged pores. Last is that it can make you look and feel oilier. This is especially common in the summers. People with dry skin can truly benefit from using serums because of their ability to penetrate deep into the skin. But with a lot of serums for your skin type, which one is your perfect pair? For this round, we have chosen the R﻿egenerist Regenerating Serum by Olay as the best serum for dry skin. This formula contains deep-moisturizing abilities and promises firmer skin in just 4 weeks.